With security vulnerabilities abounding server hardening is a vital skill. Through proper use of firewalls, SELinux, and rapid patching of security vulnerabilities Linux Administrators can take a proactive approach to security. This lecture will introduce you to each of these topics and start you on the path to a secure environment. Michael Clarkson has been working as an IT professional most of his adult life. He worked his way up through the ranks from front line level I tech all the way up to senior architect. His experience with Linux Administration goes back to the mid 90s. He began his career as an Instructor for Red Hat in 2011, Cloudera in 2012, and the Linux Foundation in 2014. 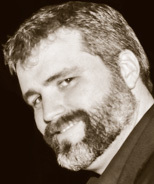 He is also a content creator for O'Reilly Media, President of his own training and consulting firm, Flakjacket Inc, and a regular contributor to the Enterprise Linux on Ravello blog series for Ravello Systems.